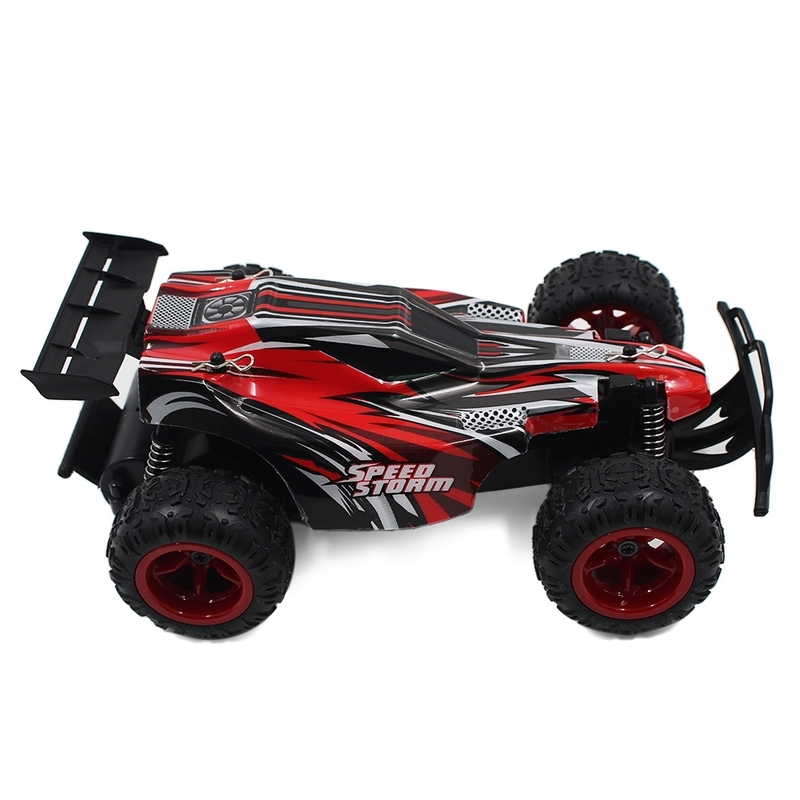 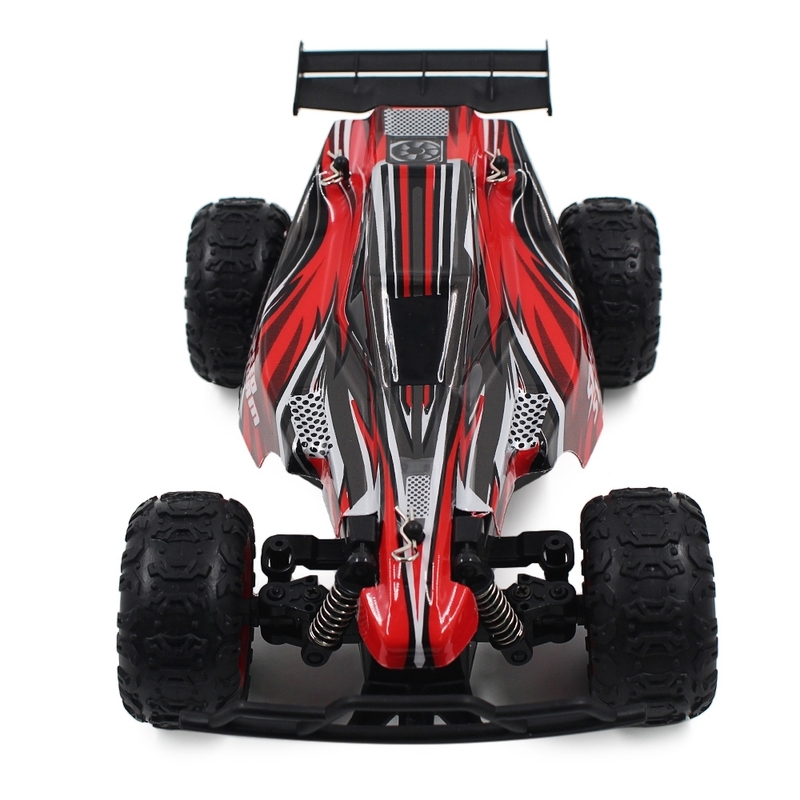 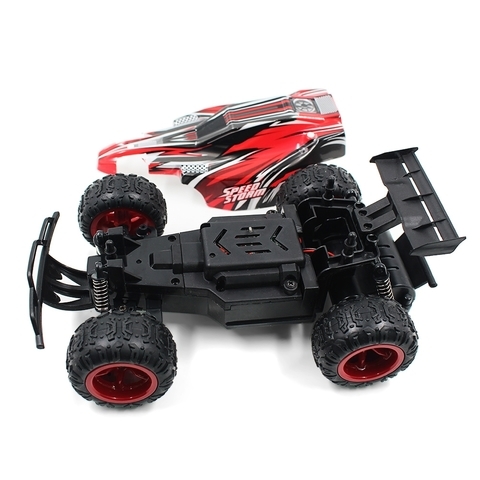 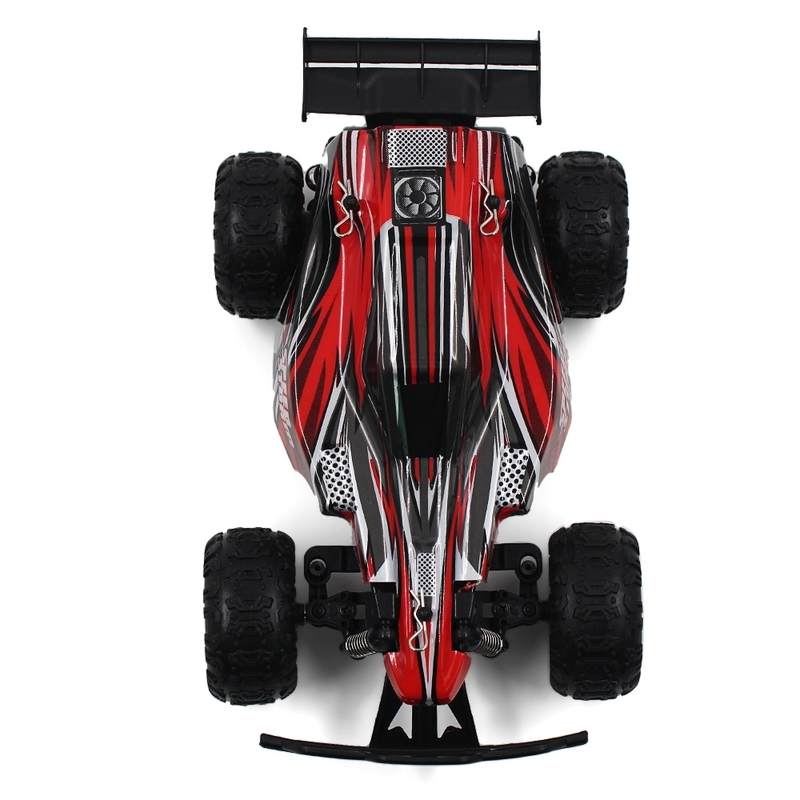 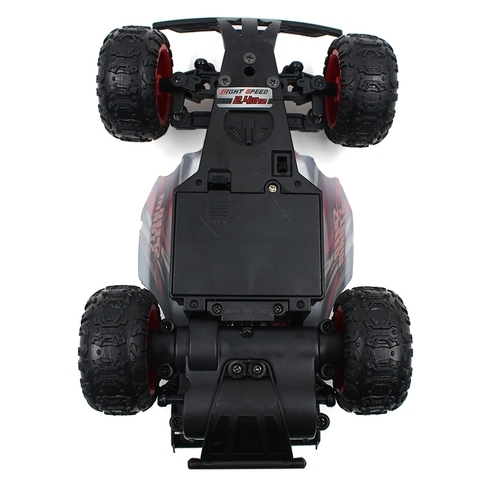 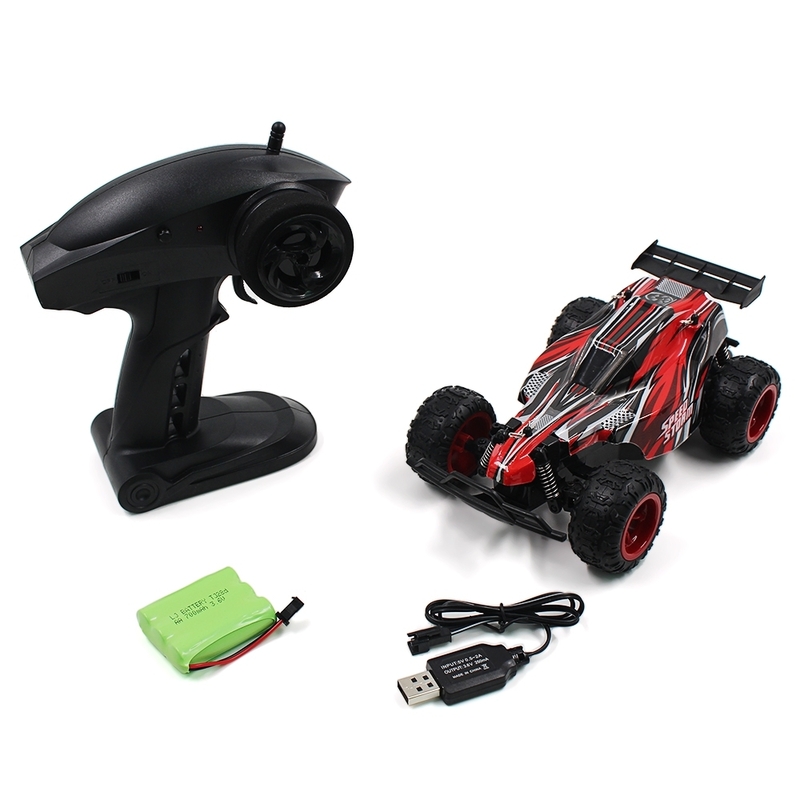 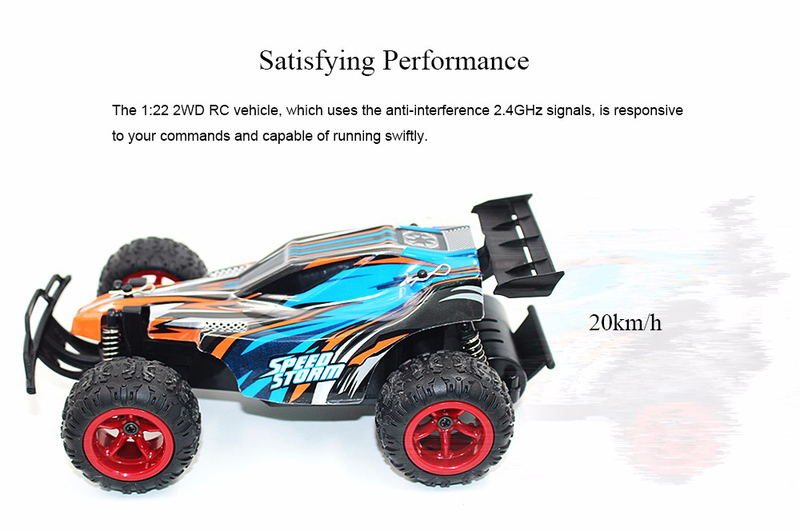 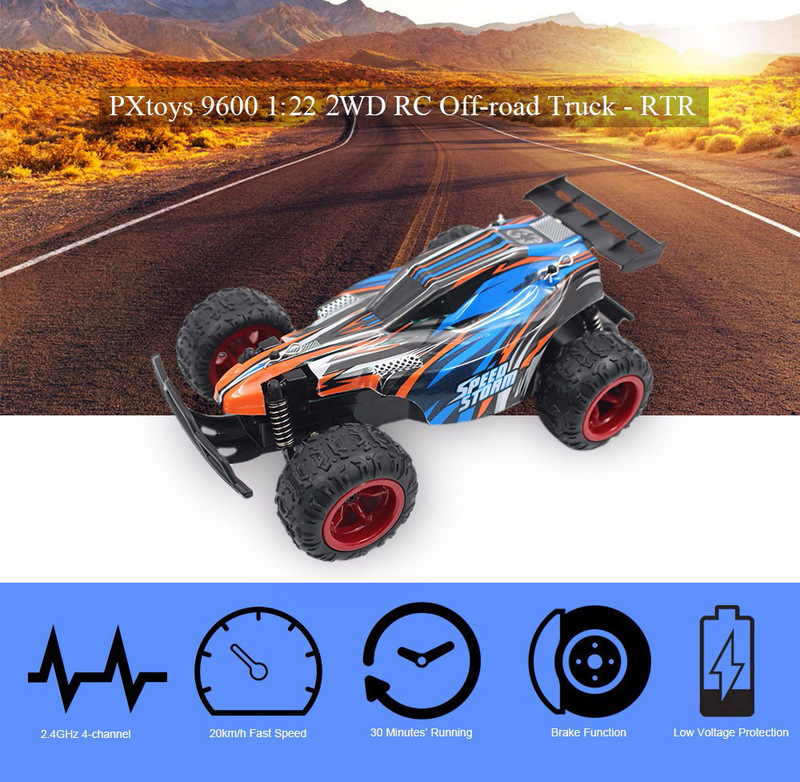 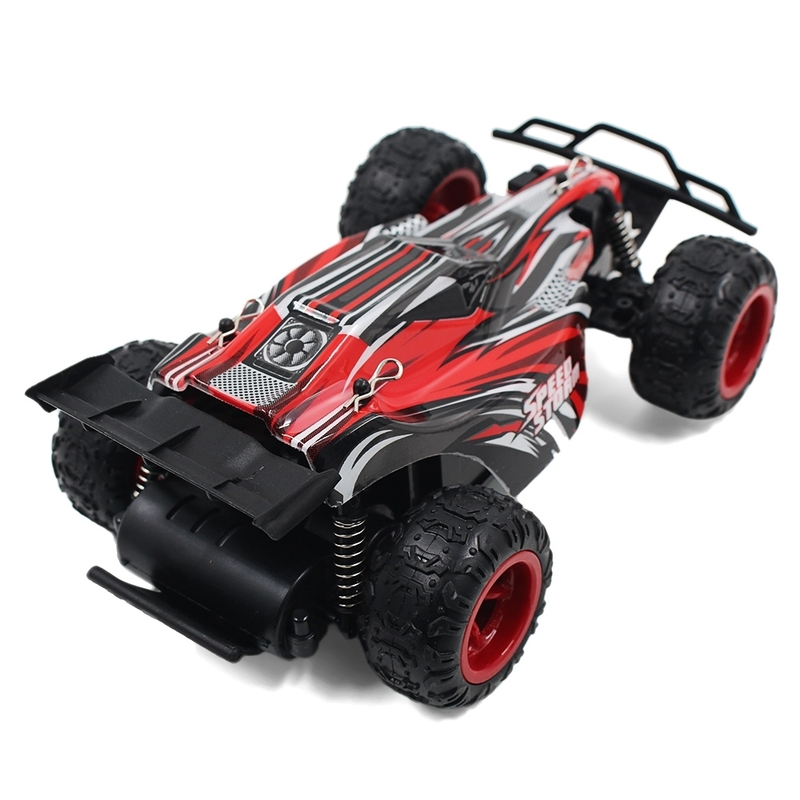 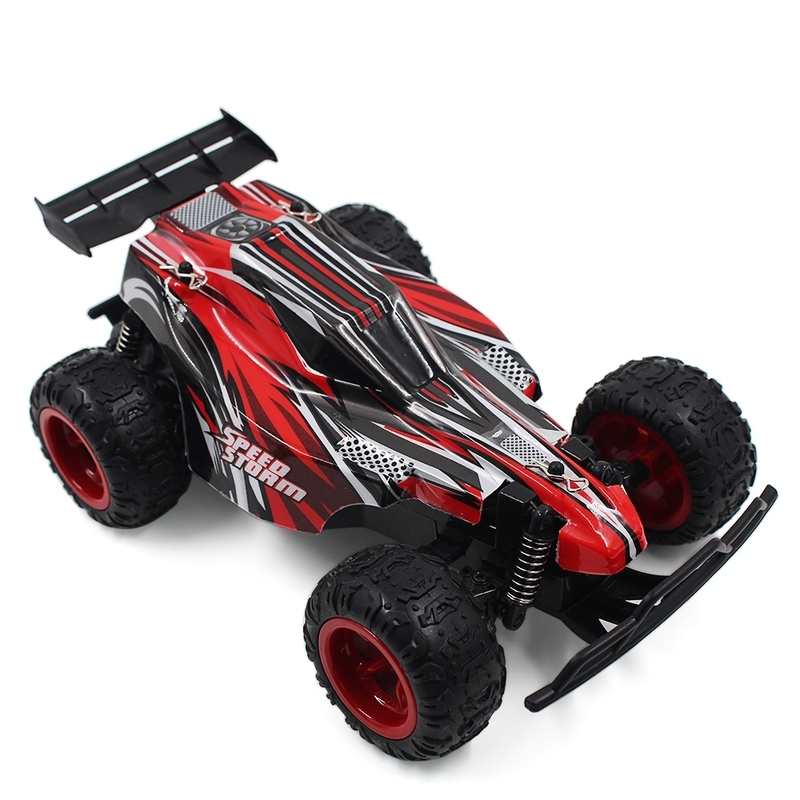 The small RC truck is a perfect gift for energetic children to play outdoors since it can run for up to 30 minutes at an adequate speed. It can slow down immediately to prevent the crash, which greatly ensures the safety in playing. 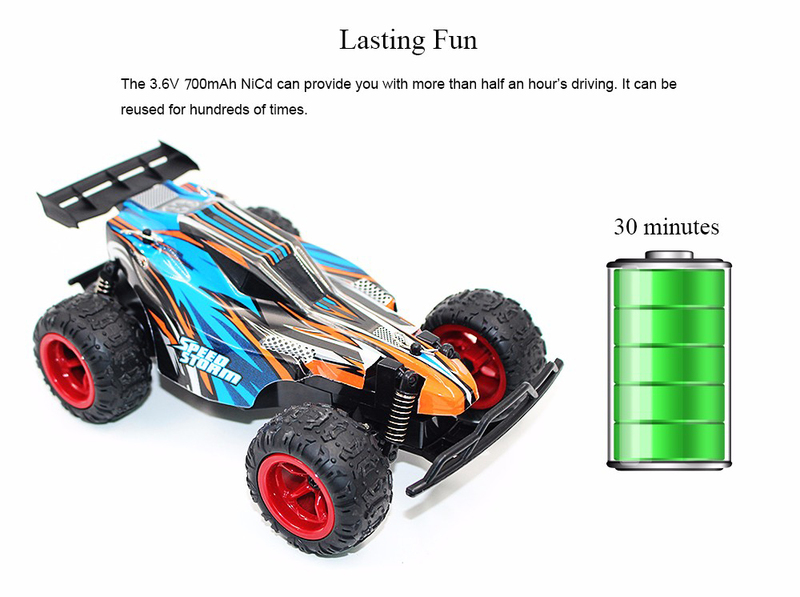 The power-saving car can keep running for half an hour. 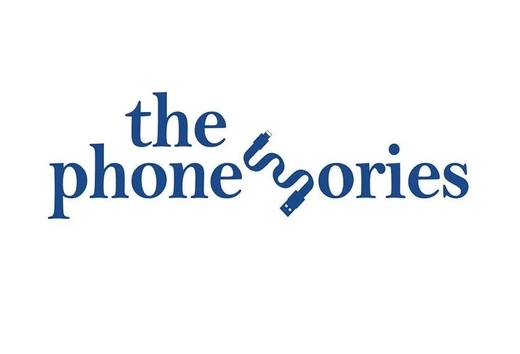 This is quite satisfying for any energetic teenager. 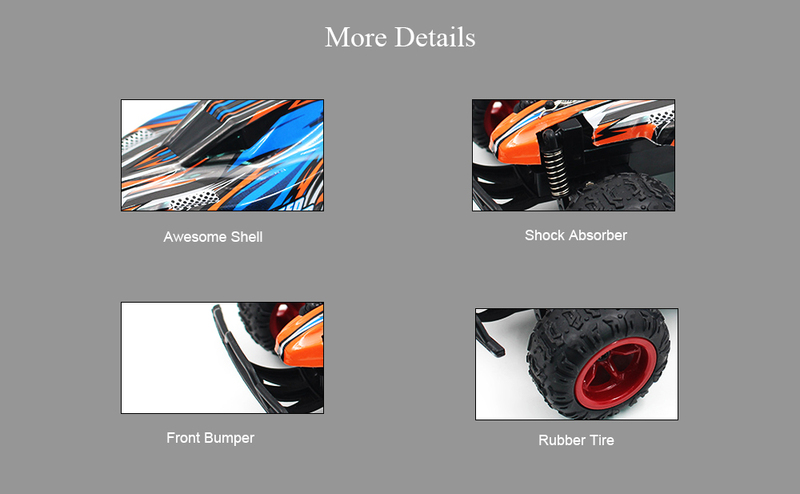 It drives as fast as a bike whose velocity is high for little kids so they can enjoy the fantastic and thrilling driving. 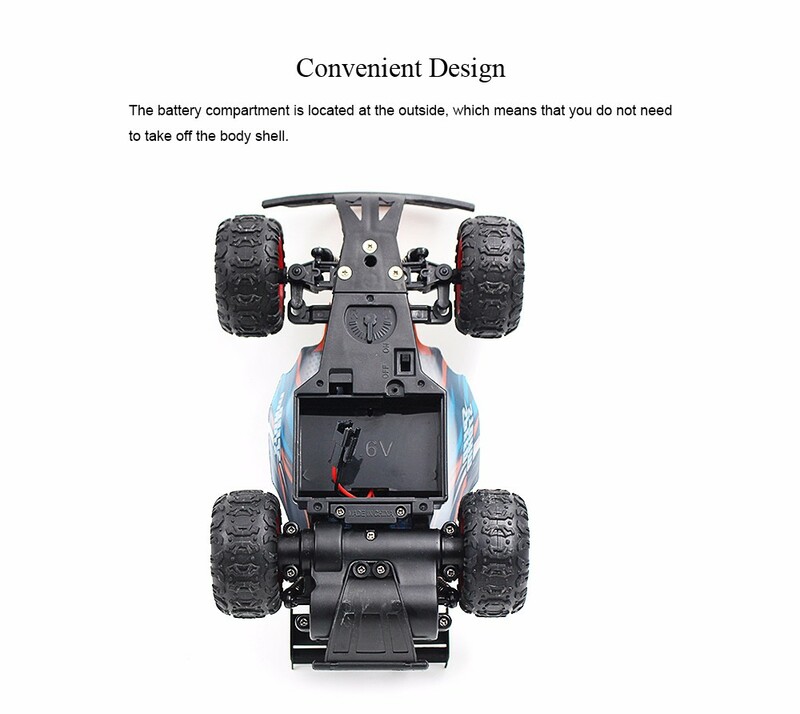 It can brake to a halt at any time. 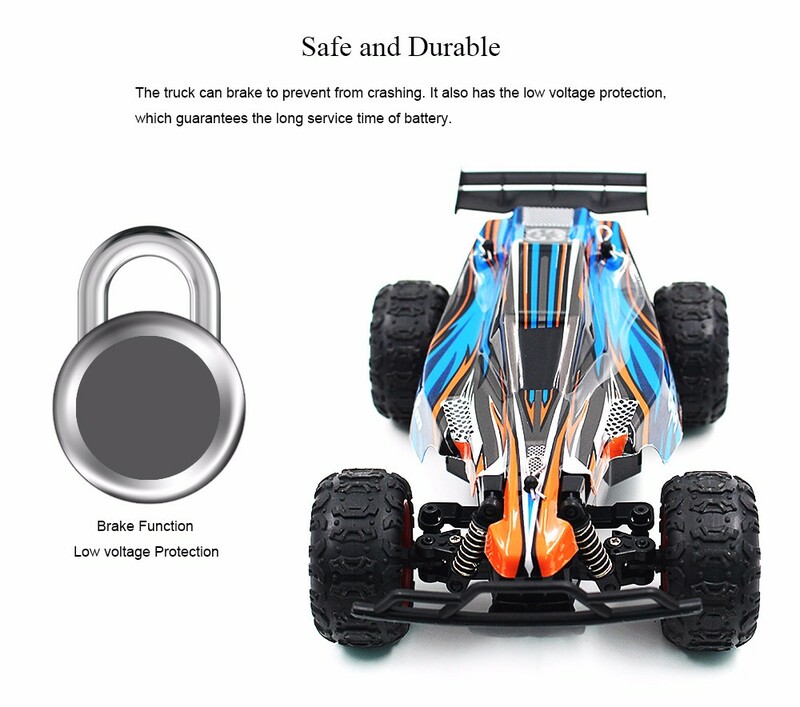 The low voltage protection helps prolong the lifetime of the battery.